Brand new! 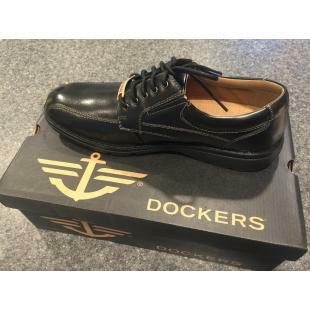 My husband ordered a replacement pair of his favorite Dockers dress shoes, only to receive 2 RIGHT shoes! Famous Footwear did not want them back due to not being able to sell them as a pair, and said we should throw them away. Hoping someone can use one or both of them! Buy one shoe or both... Again, they are RIGHT shoes only! If purchasing both shoes, shipping cost will only apply once. Please indicate that you would like ONE or BOTH shoes when you order.